John Turner is the third generation in a family of traditional fiddlers. His own style of fiddling, influenced by his study under the late Hector McAndrew, seeks to keep alive the traditions of the golden era of Scottish fiddling, the eighteenth century. Turner has made eleven solo recordings of traditional Scottish fiddle music and has published two music books, one of which is comprised entirely of his own compositions. He was also co-director and performer on another recording produced by the Colonial Williamsburg Foundation and a member of the group Yuletide Strings which recorded an album of Christmas music traditional in Scotland. A versatile entertainer as well as 10-time National Scottish Fiddling Champion, Turner has performed throughout the United States, Canada, and the British Isles. He has also acted as both fiddling judge and workshop director all across the United States. John Turner is founder and director of the Jink & Diddle School of Scottish Fiddling, a two-week, four-session, resident summer programme for musicians of all ages, ability levels and styles who have an interest in preserving the traditions of Scottish fiddle music. The school has served the Scottish fiddling community for the past 33 years in an intimate and peaceful setting in the mountains of northwestern North Carolina and in recent years has added a January Winter session in the same location. Some of the students perform at various venues in the vicinity of nearby Boone and most play in the Fiddle Orchestra which provides music for a Scottish Country Dance Ball. 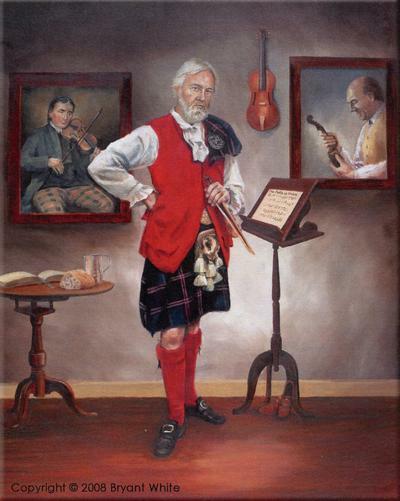 In addition to his work with the summer and winter programmes, Turner is president of Fiddletree Music, Inc. and a past president of Scottish Fiddling in Revival (Scottish FIRE), Inc., a non-profit organization devoted to the preservation and promotion of traditional Scottish fiddle music. Turner has eight recordings currently available on CD. This is what one reviewer had to say about his album, The Wanderer’s Lament.